Headquartered in the heart of the business and financial mecca of the world, New York City, Invents Company has access to the resources needed to bring new products to market. We also have nationwide branch locations so that our clients can meet with us in person. 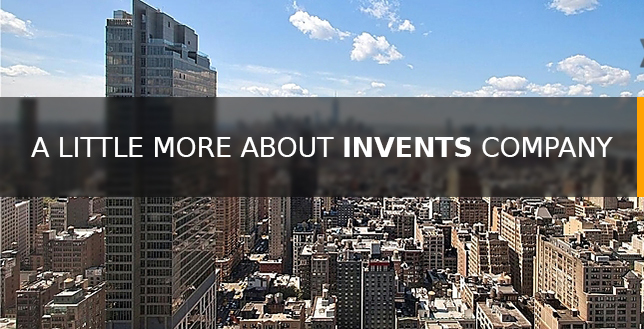 Invents Company is more than a product development solution – we are a full service marketing and advertising agency. This means we can give your invention the exposure it needs to be a success! No other solution can offer you the market saturation that our service delivers – making sure the right person sees your idea is crucial to being a successful inventor. We don’t stop with just showing off your idea either, we carefully monitor the results of our efforts and include the market data in our presentations to manufacturers. This information can tip the scales in your favor when a manufacturer is making a decision on whether to produce your product or not. After your idea has been fully developed, we will connect you with an appropriate, experienced patent attorney. You will work directly with the attorney to obtain patent protection and the intellectual property rights will remain 100% in your possession! Once you have patent protection, we will take the presentation materials developed by us (while working with you) and contact major manufacturers in your invention’s industry and attempt to procure a licensing agreement on your behalf. Once a manufacturer displays interest in your invention idea, our licensing negotiation team will contact you and work side by side with you in entering into a fair and profitable licensing agreement.